Seventeen year-old Claire Kincaid resents working in her family's voodoo supply shop. Claire has always eschewed her heritage - she's a descendent of Marie Leveau, a famed voodoo priestess in New Orleans. Claire finally turns to magic for answers once a series of break-ins threaten her friends, all firstborn children of prominent voodoo families. The action takes place weeks before the Priestesses Ball, an exclusive prom-like gathering. This post-Katrina mystery uncovers family secrets that have been festering for a generation. Fearing their parents disapproval, Claire wants to keep her relationship with Xander, the son of prominent Guild leaders, secret. Together they arrange a series of break-ins of their own to discover what the mysterious woman purchasing dangerous magical items from their voodoo shops and exiled Guild member "Crazy Eddie" have been hiding. Using information obtained while in a dream state, and aided by some incredibly lucky coincidences Claire ends up fighting off a ring of black magic users who want to use her charmed blood for evil. 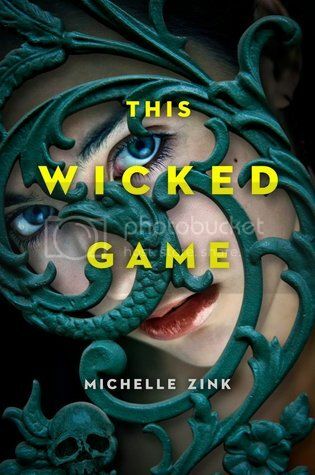 Teens looking for mystery with a hint of paranormal will enjoy Zink's fast-paced, undemanding story. Wow, I've never read anything quite like this, and it sounds awesome! The cover is gorgeously creepy too. Thanks for the review!